Learn about the different features of the Piglet Twin Breastfeeding Pillow and find out more about how to use it. The Piglet Twin Breastfeeding Pillow consists of two parts – a U shaped cushion for the babies to lie on, and a cushion that works as back support for mum. 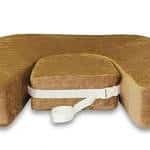 The U shaped cushion has supports at the rear to keep the cushion horizontal and the back support in place. The back cushion is sturdy and supports both the upper and lower back allowing you to sit comfortably and nurse in an upright position. The pillow is adjustable depending on the size of your belly. If you have a rather flat belly, you may notice a gap between you and the U shaped cushion. In that case you turn the back support and lean against the thinner edge. The gap will then reduce. It fits your babies as they grow. Once they are able to kick the sofa back, you can turn the back support sideways leaning on the thinner edge. This will sit you further forward, and your babies legs won’t be able to reach the sofa back. The company recently launched a version for petite women. This launch was done based on feedback from mums below 5.2. 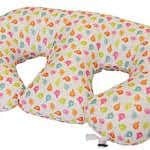 The petite version is similar to the Piglet Twin Breastfeeding Pillow, but reduced in height. Find out which version will suit you best. 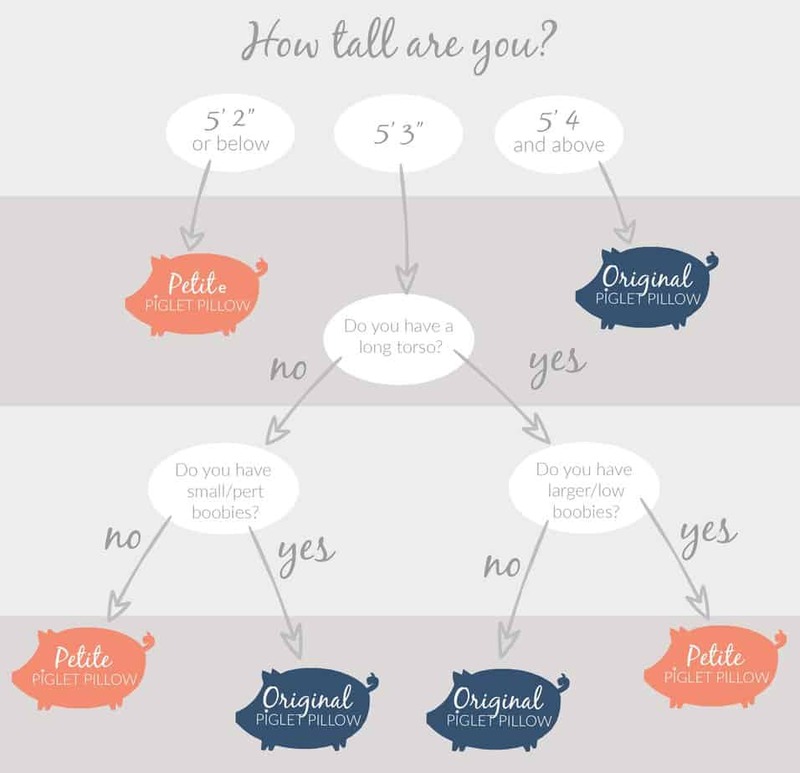 How much does the Piglet Twin Breastfeeding Pillow cost? The Piglet Breastfeeding Pillow costs 89 British Pounds. That’s equivalent to around $119, depending on the currency rates. The pillow and a spare cover bundle costs 118 British Pounds. That’s equivalent to around $158, depending on the currency rates. The price is the same for the petite version. What’s the Piglet Twin Breastfeeding Pillow made of? The cushion is made from 100 percent brushed cotton. The foam passes all required EU safety regulations. The cover is machine washable, and spare covers can also be purchased. What’s the company behind the Piglet Twin Breastfeeding Pillow? Peanut & Piglet is a fairly new company from the UK. It makes and sells products designed for twins by twin mum Emma. The idea for the Piglet Breastfeeding Pillow came about when Emma had twins in November 2013. She didn’t feel comfortable with the pillows available and decided – in the middle of the night – to design her own. Soon after the Piglet Breastfeeding Pillow was ready. You can feel Emma’s warm presence when you visit the company website and in the well-written cover letter you receive with the Piglet Twin Breastfeeding Pillow. What’s your rating for the Piglet Twin Breastfeeding Pillow? 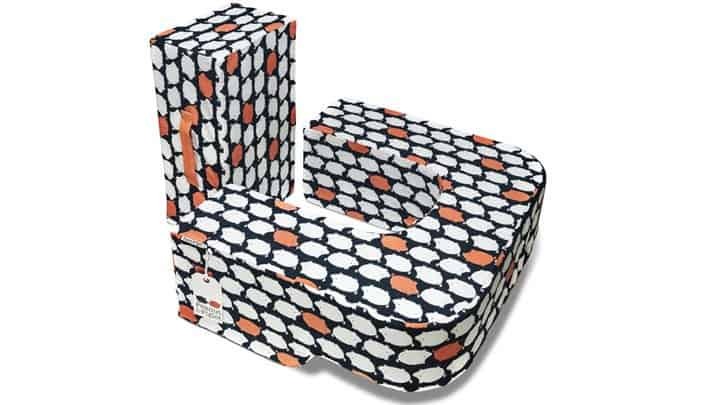 Read about how the Twin Nursing Pillows Review was done. Read pros and cons from other mothers of twins who’ve nursed with the Piglet Twin Breastfeeding Pillow.